Looking north at the entrance to the dining room on the first floor of the house on the grounds of the Tinsley Living Farm at the Museum of the Rockies in Bozeman, Montana. Few houses had a dining room, unless they had large families. 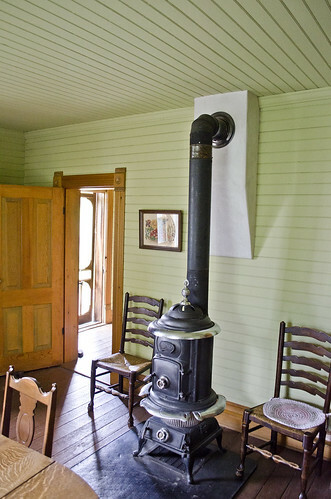 Note the chairs, as people would need to sit close to the stove in winter.